Amid the plethora of new recordings and reissues released to mark the centenary of Debussy’s death this year, Harmonia Mundi’s ongoing survey of some of his major achievements across all genres is proving a consistent delight. Today brings a hypnotic recital which focuses on the handful of chamber works which Debussy composed during the First World War, following a long sabbatical from the medium: the 1915 Cello Sonata, the Sonata for Flute, Viola and Harp, and the Violin Sonata of 1917, his last completed work. 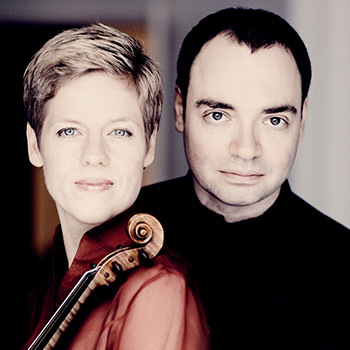 The sonatas are presented in reverse chronological order, and so the album opens with an infinitely subtle, gossamer-light account of the Violin Sonata from Isabelle Faust and Alexander Melnikov; it’s often as if both players are barely touching their instruments in the more delicate passages, yet the pair pack a real punch in the few moments when something more vigorous is called for. Faust in particular conjures up some strikingly delicate sonorities which put me in very much in mind of her recording of the Mendelssohn Violin Concerto last year, for which she followed markings by several of the work’s earliest interpreters: she takes every opportunity to play with the blanched qualities afforded by open strings and harmonics, keeping vibrato to a minimum and instead cultivating expression by extensive use of portamento and audible position-shifts. Resisting any temptation to dig into her Stradivarius (the ‘Belle au bois dormant’), she invokes some magical flautando sounds by merely grazing the string with the bow and allowing it to wander right over the fingerboard, so that her right hand mirrors the ethereal effects created by Debussy’s liberal use of harmonics throughout the piece. The airy, other-worldly atmosphere conjured by Faust is taken still further by violist Antoine Tamestit and flautist Magali Mosnier in the Sonata for Flute, Viola and Harp, where the blend between the two instruments is so seamless that it’s often almost nigh-on impossible to determine where one hands over a phrase to the other without recourse to the printed score. Harpist Xavier de Maistre adds a pleasing dash of spice to the proceedings with playing that’s almost percussive in places and suggests the more exotic sonorities of a dulcimer or zither in others (try the arresting opening of the final movement, which here sounds as if it could come from a Jordi Savall album). 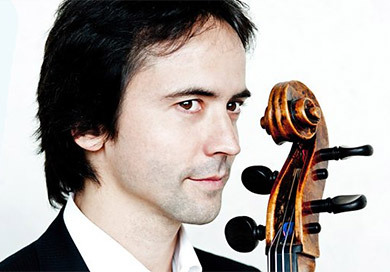 Jean-Guihen Queyras and Javier Perianes are very much the yang to Faust and Co.’s yin in a big-boned, sonorous reading of the Cello Sonata, which balances the work’s declamatory and rhapsodic qualities to perfection and provides enough ballast to anchor the feather-light interpretations of the other two pieces so that the album coheres into a distinctly satisfying whole. The three sonatas are interspersed with a handful of miniatures for solo piano, some of them real curiosities: the tiny, wistful waltz ‘pour l’Oeuvre du ‘Vêtement du blessé’ composed for a benefit concert given by a charity providing clothes for convalescing servicemen in 1916, a two-minute depiction of a cosy evening by the fire (inspired by Baudelaire and by the composer's rather more prosaic hope of obtaining free bags of coal from a wealthy local music-lover! ), and the Berceuse Héroïque (based on the Belgian national anthem, which apparently attracted Debussy because of its ‘melancholy and discretion’). All are performed with charm and sensitivity by the French pianist Tanguy de Williencourt. The entire recital proves to be an immensely stylish contribution to a series that’s yielding some real benchmark performances of Debussy in this anniversary year, and I urge you to explore both this latest instalment and any earlier volumes you might have missed along the way – particularly Melnikov’s astonishing accounts of the second book of Préludes, and the gorgeous collection of mélodies from Sophie Karthäuser, Stéphane Degout, Eugene Asti and Alain Planès which was released in late August. The final three volumes (Nocturnes and Jeux from François-Xavier Roth and Les Siècles, the Études from Roger Muraro, and the first book of Preludes and Estampes from Javier Perianes will follow at the end of the month.